Patrick Henry High School is proud to announce and welcome home Mr. Keith Braxton as the newly appointed Head Varsity Football Coach and leader of the PH Football Program. Coach Braxton is a native of Beaverdam, Virginia and alumni of Patrick Henry High School’s Class of 1998. Mr. Braxton attended Virginia Military Institute where he earned a bachelor’s degree in history and was a three-year letterman and standout on the defensive line for the Keydets Football Team. Coach Braxton launched his coaching career at his alma mater of VMI as a graduate coaching assistant. In 2001, he was promoted to a full-time coaching position as the Defensive Line Coach and served in this role through 2006. From 2006-2013, Coach Braxton was the Assistant Head Coach at Edinboro University of Pennsylvania. During this time, Coach Braxton earned his Master’s Degree in Military History. Then, in 2013, Mr. Braxton was offered the opportunity to come back to his home state of Virginia to work for Coach Latrell Scott at Virginia State University, where he served as Director of Football Operations for the Spartans for two seasons. 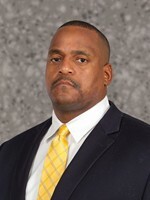 Most recently, Coach Braxton served as Assistant Head Coach and Director of Football Operations at Norfolk State University for the 2015 and 2016 seasons. Coach Keith Braxton’s passion for the sport of football and his dedication to helping student athletes grow to reach their highest potential were compelling qualities that we were seeking for this position. Further, Coach Braxton’s personal connections to our school’s history, tradition, and values were paramount. His addition to the existing stellar football athletic staff will continue to elevate the program and school’s commitments to our tradition of excellence. Cafeteria/Commons staff members because he is also a PH Patriot! These are both great times for current, potential, and upcoming players & parents to meet our new head coach. Thursday, June 8th- Coach Braxton will be on hand helping! This is a convenient, cost effective (only $20) way to get your annual sports physical for all 2017-2018 sports and tryouts events PLUS meet our Athletic Trainer, Coach Garrett.